Et Verbi Sathanus are fairly popular in the underground of their home region, Chile. The band originally formed in 1997 as Gehinnon and split up in 1998; the band eventually reformed in 2001 under their current title and have been going strong since. They've released handfuls of demos, with some splits and even a full-length thrown into the mix. 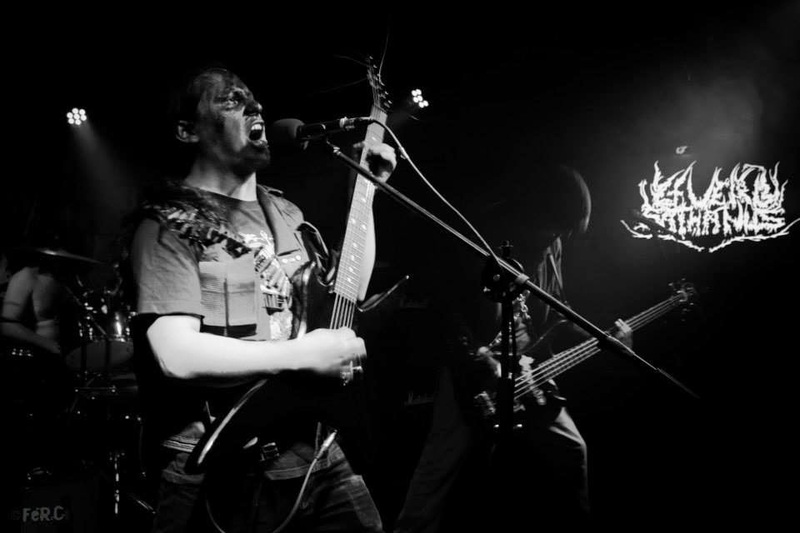 Argentina based Black Vul Destruktor are more recent than their split counterpart, having formed in 2008. They already have a couple of compilations out, along with a couple of EPs, splits and a demo. Apocalypse Towards Apocalypse joins these two black metal acts together for the first time. Black Vul Destruktor kick things off with a hefty dose of atmospheric black metal. The guitar is consumed in an unholy aura of dynamic echoes, causing a catacomb-like effect that gives the content a spacious depth, but also mildly cancels out the bass and drums. 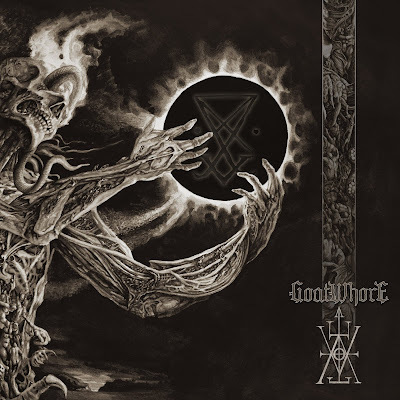 "Sword of Luciferian Light" has a very catchy main structure that extends past the tremolo riff of the guitar and into the corresponding drum hits that lay between the mid-tempo blast beats. The growled lyrics from the vocals also follow this distinctive pattern, chaining with the other elements to create an impenetrable, nefarious design. 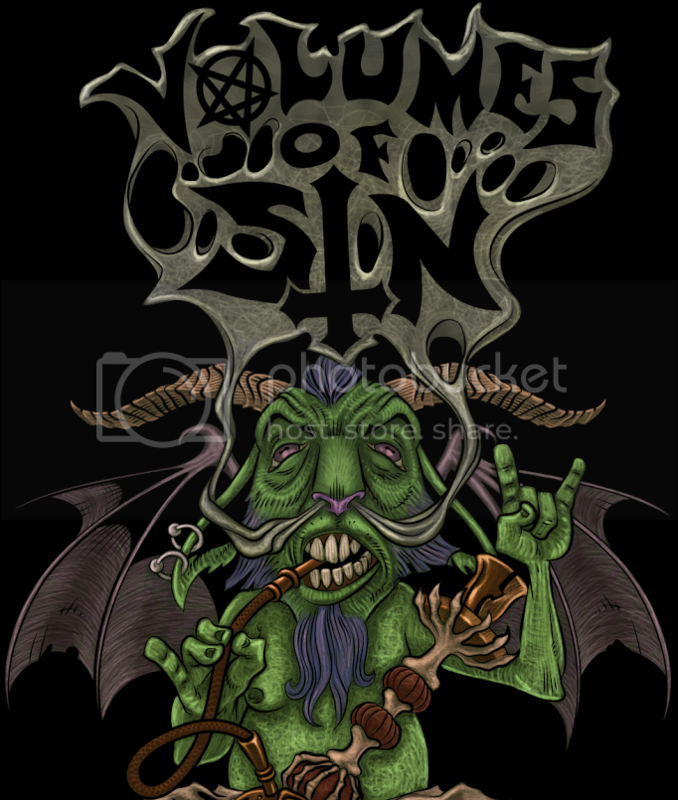 The ensuing song, "Void of Darkness" picks up where the antecedent track leaves off, and even keeps the same structure in some sections of the song. The drums still stick to generalized blast beat patterns here, and the guitar stays on the same couple of tremolo riffs for what seems like the entire duration of the song. However, the vocals take on a chanting quality that brings down a profound, cultish eeriness to the dark hymn. There are multiple bridges and links scattered between the foundation that makes up "Void of Darkness", which will keep the attention of the listener despite the overall repetitive nature of the track. 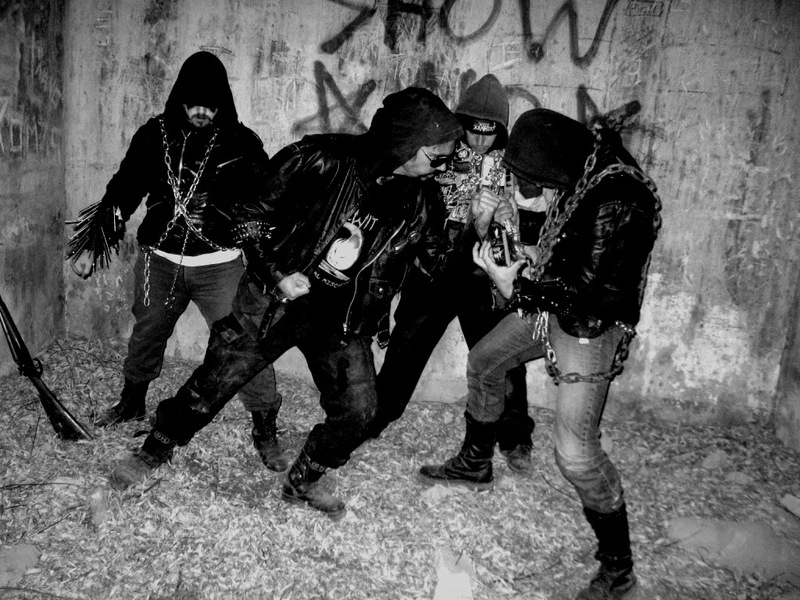 The two emanating events by Et Verbi Sathanus offset the atmosphere that Black Vul Destruktor set up with a greasy, slicker style of black metal. Opening with more blast beats, one may not expect much at first from "Holocaust in the Paradise"; however the track has some great descending fretwork, all the while the drums are being powerfully assaulted with one powerful smack after another to accentuate the rhythm. Then the drums fire robustly like an assault rifle during the hurriedly strummed power chord segments, the two structures take turns fighting for control for the entire three and a half minutes of bestial satanic warlust. The vocals laid down by Et Verbi Sathanus are full of passionate malice, and call forth like a commanding officer for the unholy army of hell; with a slight reverb effect drizzled over them for extra emphasis. 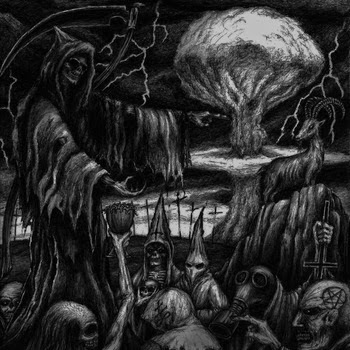 Appearing later into the track as well, "Gehinnor" starts off with marching, war-like drums before settling back into a stagnant oasis of blast beats. The guitar is a mad frenzy of notes being spewed forth, very active and unforgiving tremolo riffs take sovereignty over the material at this point; all the while the bass acts as the quickened heartbeat of both tracks. The ear catching pinch harmonics that catch the rhythm of the marching drum pattern near the end of "Gehinnor" is the proverbial icing on the cake, and ends the content on a high note that leaves the audience craving more. When it comes to splits, usually one of the bands ends up stealing the show; but in the case of Apocalypse Towards Apocalypse both Black Vul Destruktor and Et Verbi Sathanus put on equally impressive performances. Where the former set up a malevolent atmospheric black metal experience, full of catchy structures and vocal chants, the latter subject the listener to greasy, cyclonic warlust black metal. The two bands work dynamically well together, and we are all one step closer to apocalypse for it. Definitely give this one a listen over at the Blood Harvest Bandcamp page, and don't forget to support the artists.